Immernoch relevant: Eure Awareness kotzt mich an! Cool :) Rogue Survivor goes open source! Twice! Are the ‘gatekeepers’ becoming censors? On editorial processes and the interests of the scholarly community. Does ’50 Shades of Grey’ Deserve its Criticism? Gruselig: Jura-Studenten und die Todesstrafe: Woher kommt diese Grausamkeit, Herr Streng? Howto extract a git subdirectory and make a submodule out of it? X to Close - The origins of the use of [x] in UI design. Um diesen Beitrag ein wenig mit Inhalt zu füllen, vielleicht noch eine Ergänzung. Ich finde es sehr bemerkenswert wie normal Werbung wahrgenommen wird, als sei es ein Gott-gegebenes Recht von Unternehmen zu “Käufern” degradierte Bürger zum Kauf ihrer Waren zu bewegen, wobei nur in Grenzfällen gesetzliche Hürden gesetzt werden (i. B. bei an Kinder gerichtete Werbung und ironischer Weise, wenn Sie andere Unternehmen zu stark betrifft (Unlauterer Wettbewerb)). Im Gegensatz zu Kindern, von denen angenommen wird, dass sie nicht fähig sind, den “Wahrheitsgehalt” von Werbung zu durchschauen, wird dem/der Erwachsenen eine “Mündigkeit” als Verbraucher zugeschrieben, bewusst und mit Bedacht das Warenangebot zu betrachten, bevor er/sie eine Entscheidung trifft. Von einem logischen und rationalem Marktteilnehmer/-Innen gehen auch “der” Neoliberalismus aus, dessen Ideologie seit Jahrzehnten immer mehr die Wirtschaftspolitik geprägt hat. Auch ist Werbung in meinen Augen ein signifikantes Volkswirtschaftliches Problem. Alleine die direkte Investition in Werbung beträgt ca. 1% des Bruttoinlandprodukts in Deutschland, oder ca. 30 Milliarden Euro; vermutlich sind darin indirekte Investitionen, wie interne Produktoptimierungen nicht enthalten. Dies ist Produktivkraft, die verschwendet wird, um alleine das Konsumverhalten zu lenken. Dies nur so als ein Paar Beispiele warum ich es, wie Eingangs erwähnt, bemerkenswert finde, dass Werbung eine so prominente Stellung in unserer Gesellschaft einnehmen kann. Andere kritische Beispiele finden sich z. B. in den Werken von Noam Chomsky, aber auch Systemtragende sollten Grund haben da sich zu wundern. But I think the general premise holds, and that the article itself is full of logic fallacies. E.g. the “Lump of labor fallacy” does not apply to necessary work, which supplies elementary necessities for living, e.g. water, food and accommodation, for which most people have to work nonetheless. Also there is no need for explicit coordination of a “ruling class”. Acting on their own interest of people with financial and political means creates a “ruling class” by itself, and a filter that mainly allows people with similar ideas to raise to that position. Disgusting practices in the music industry. Very good explanation why we don’t live in a post-industrial utopia, but productivity is wasted on uninteresting and unimportant jobs. I wouldn’t have thought that there actually is a great difference. Interesting. Ich werde dazu noch eventuell einen laengeren Beitrag schreiben. Wie man lernt, richtig beschissen zu flirten! They use an interesting financing model. Instead of paying for existing episodes, you “donate” for the development of the next one. All but the latest episodes are free and if you donate you get instant access to the latest one. Improving your dermal flora might make deodarants and soap unnecessary. My posts on this site are now signed. You can find a gpg-block in the source code of the page. Pass it to gpg, and you get the markdown used for generating the site and check the signiture, if you have my GPG key installed. Thanks to Merovius for the neat jekyll plugin achieving this! WARNING: You will void your guarantee. I had to send in the laptop because the keyboard stopped working. Asus declined the guarantee request, because the harddrive was changed and the laptop was opened. 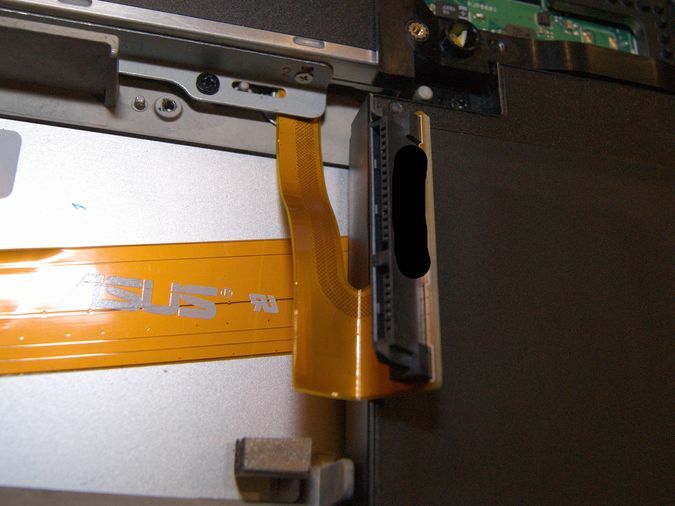 This tutorial describes how to open your Asus N750JV and replace the hard disks. If you need to replace another part, at least the opening part should apply. As the Asus N550JV is quite similar, judging from the specs, to the N750JV it might work for it too, but I haven’t checked it. Please leave a comment, if you have one. You need a size 5 Torx and a medium sized Phillips screw driver. On the backside remove all 14(!) Torx screws. 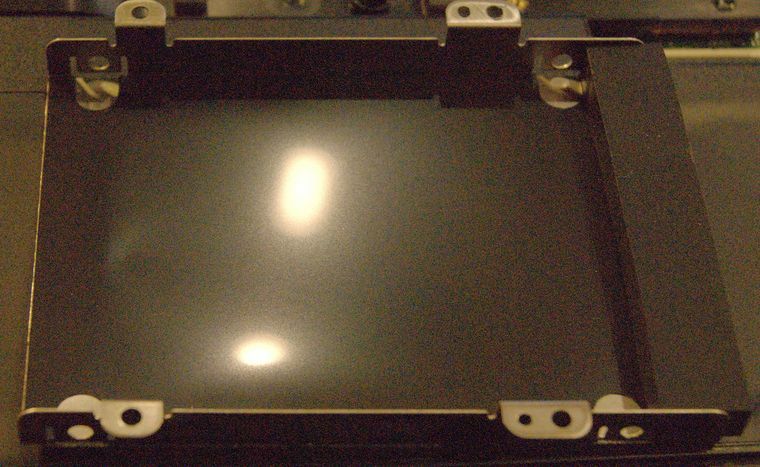 You then can remove the cover carefully. If you only have one drive, the bay on the left is empty. We will use that as an example below, the other one can be removed the same way. Remove the four silver Philips screws holding the bay in place and pull it out using the black strap. If the bay already contains a drive, carefully remove the connector by pulling on it. 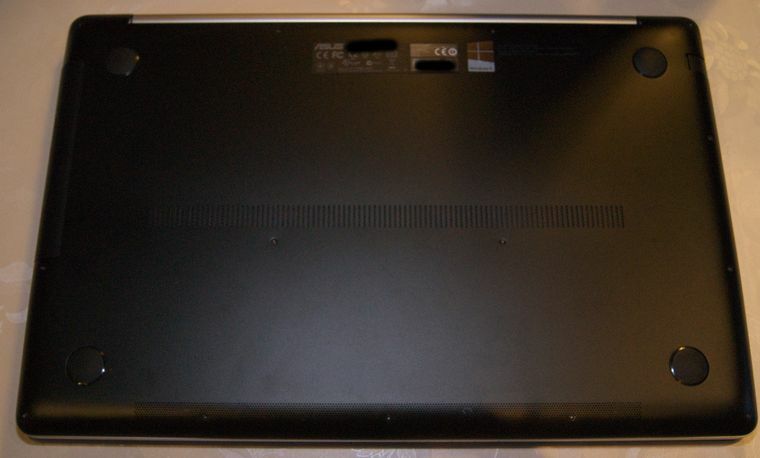 If the bay is empty, there is a rubber placeholder on one side. Remove it. 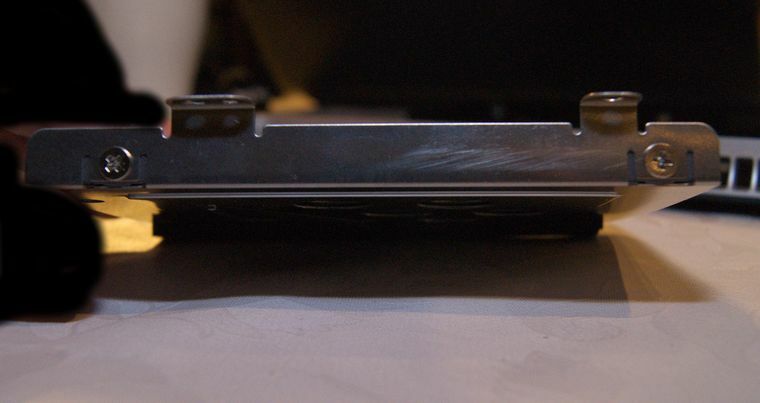 Place the new 2.5” drive in the bay, so that screw holes on the sides line up with the holes in the drive. 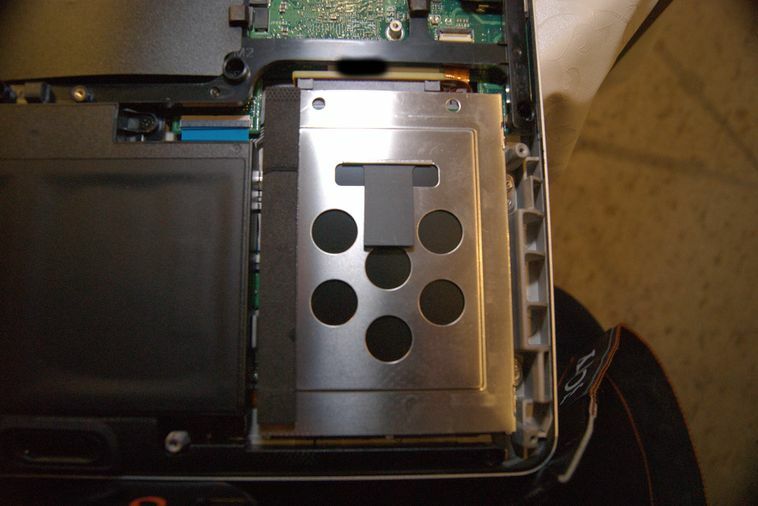 the connector should face to the side, where two holes are present in the screw latch. 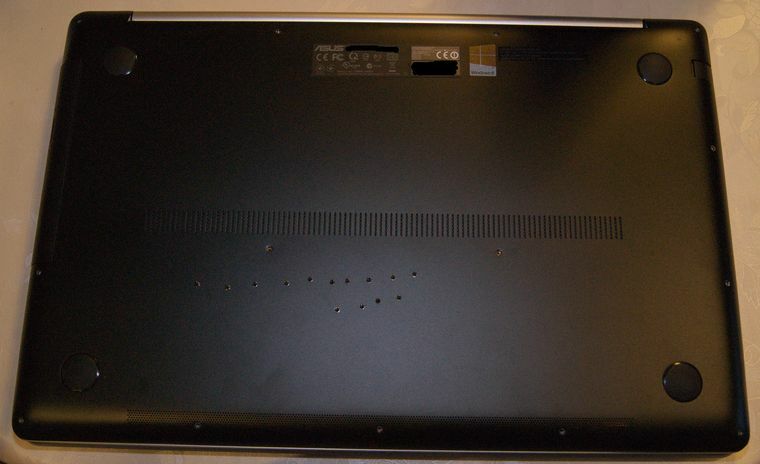 In the packaging of the laptop four screws are taped inside. Take them out and screw them into the side of the bay, fixating the hard disk. Connect the hard disk connector to the hard disk and but the bay back in. Align the screw holes at the bottom of laptop and put the Phillips screws back in. 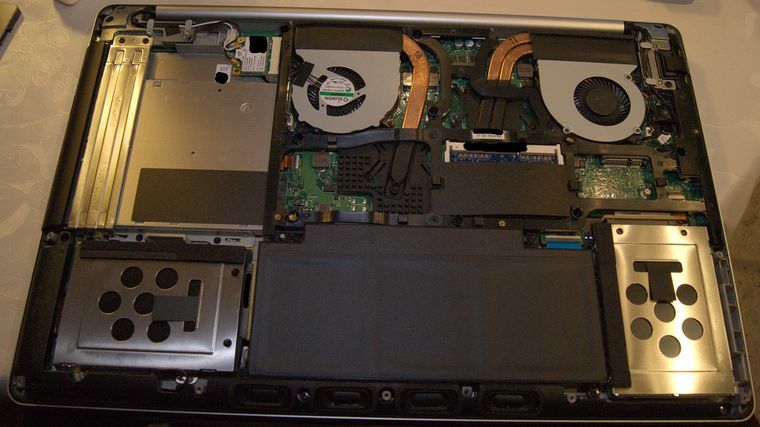 Make sure you haven’t left anything in the laptop that doesn’t belong there and all cables line up correctly. Esp. the speaker cable can easily be pinched in. 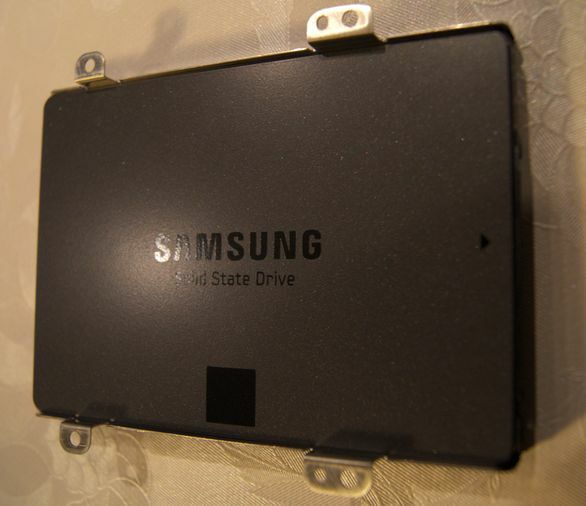 If everything was done correctly, your laptop should boot, recognizing the new drive. The octopress developers removed the twitter sidebar in march, as I just discovered, as I was upgrading my opctopress installation. To restore it you basically have to create a custom aside file and include a widget created on the Twitter website. This blogpost describes how to do it. Although I despise external webservices (e.g. because of privacy and reliability problems) I’ll activate octopress’s disqus feature for now. We stumbled upon an unexpected way default parameters work while writing python code for our current game project. In Python you can specify a default value for a function parameter, which is used when the function is called with less parameters than the function needs. In python strings are immutable, that means you can’t change it after creation. When you for example concatenate two strings a new one is created, so there is no way to change the default parameter string. But what happens if you use an empty list as the default parameter? I expected to always get an empty list. So the following function should always print the same. A list is mutable, that means you can add or change elements in the list. And you get passed the same list instance each time on a call to append_one, as variables are passed by reference in python. So this behaviour is actually not that surprising. The same is the case for each other mutable class you pass as a default argument. But how can you use a mutable object? There are several ways, but I like the following. Instead of passing the object directly, we pass None and check for it in the function. We also used the compact or notation, see the Python documentation for how that works. Edit: There is also a good post on stackoverflow answering why it was done this way.